Welcome to Farley’s Christmas Wonderland website. 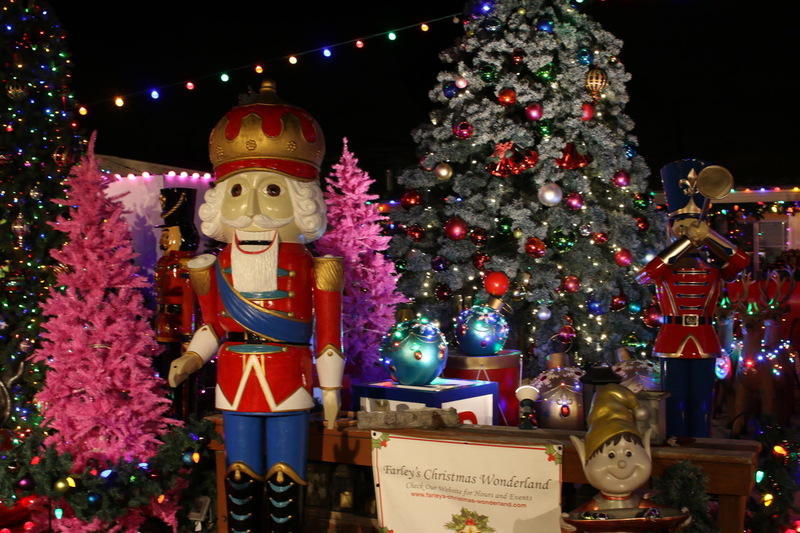 We are a walk-in Christmas display located in the midtown of Santa Cruz, CA. 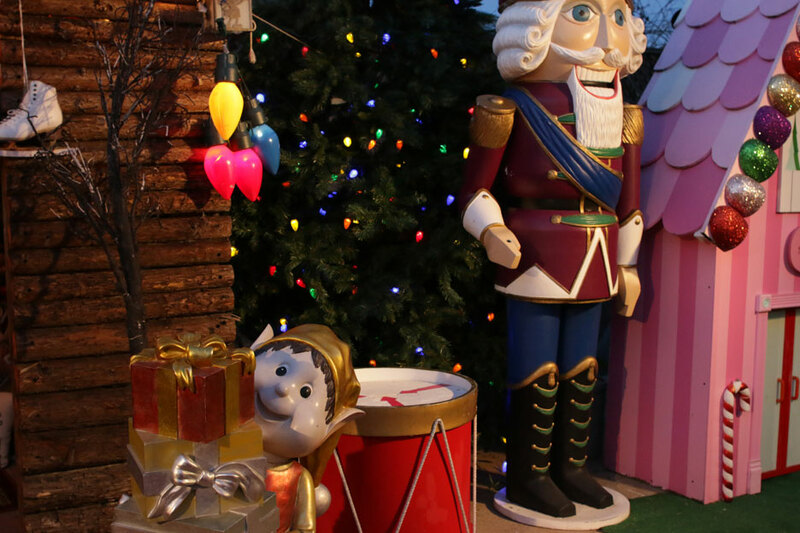 Our exhibit is very traditional (emulating Disneyland): lots of Christmas trees, garlands, sleighs, an elf village, a miniature village, and a log cabin that Santa uses for his rest stops. Being Irish, where you have elves you have fairies and we have a fairy grotto with 2 waterfalls and fairies that can be viewed on special nights. Also, on those special nights, it snows here. Unlike all other Christmas displays where you drive by, we are a walk-in, where people will spend time sitting on the bench in the Fairy Garden looking and listening to the waterfall or sitting in the rocking chairs in the log cabin in front of the fireplace. If you bring small kids especially little girls, do not expect to be leaving soon. When they discover Rivi’s house – you’re not leaving. During the summer and Christmas holidays a lot of people travel and when people are traveling during the Christmas holidays, where ever they go the one thing all travels want to see are Christmas decorations – they want to see how people in that country celebrate and decorate for Christmas. And every year we get more travelers from all over the world who are visiting the San Francisco Bay Area or the Monterey Bay. Department 56, who is a manufacturer that sells Christmas and holiday collectables world wide, recognized us as being one of the top 10 Christmas displays. The “press” tab has links to newspaper and TV articles about us. View my blog for daily posts on hours and times, especially when there’s rain forecasted. The blog was updated April 8, 2019.